Original score for alto, tenor and bass soloists and SATTBB choir. Transcriptions of the Motet, Kyrie, Sanctus, Benedictus and Agnus Dei for SSA soloists and SSAATB choir (with optional organ part), and for SSSAAA. 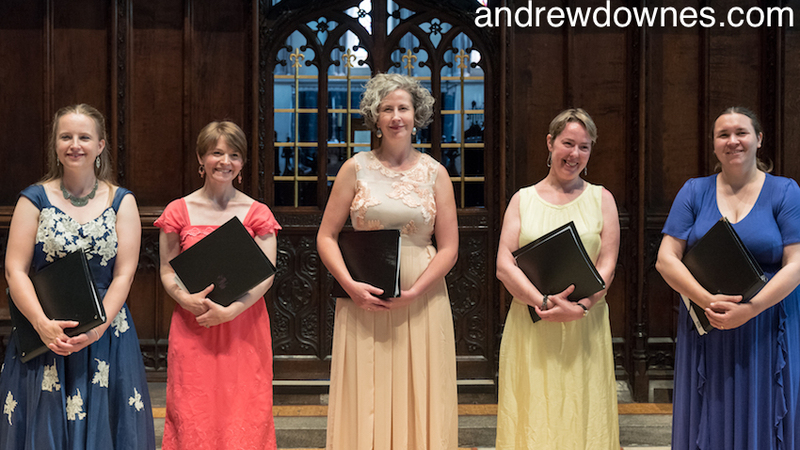 Andrew wrote his Motet, O Magnum Mysterium, in 1969, for himself and 2 other soloists from the Midland Boy Singers. 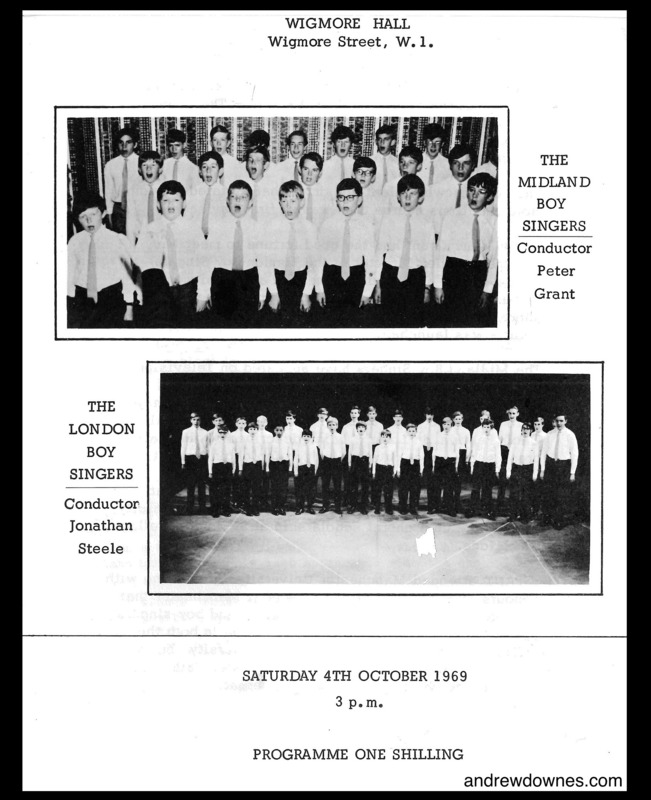 They sang the piece in a special joint concert with the London Boy Singers in the Wigmore Hall, London, in October 1969, just before Andrew went up to Cambridge. I met Andrew and the choir outside the Hall just before the concert. They asked me to attend. It was, however, my first weekend as a student at Royal Holloway and I was nervous about being out late in the big city with the long journey by train and bus to get back to the college. What a shame I missed Andrew's concert... The Times wrote: "The single most outstanding feature ... was the counter tenor singing of Andrew Downes." His Motet, O Magnum Mysterium, was described as an "imaginatively meritorious setting" and Andrew himself as "a figure to watch out for". 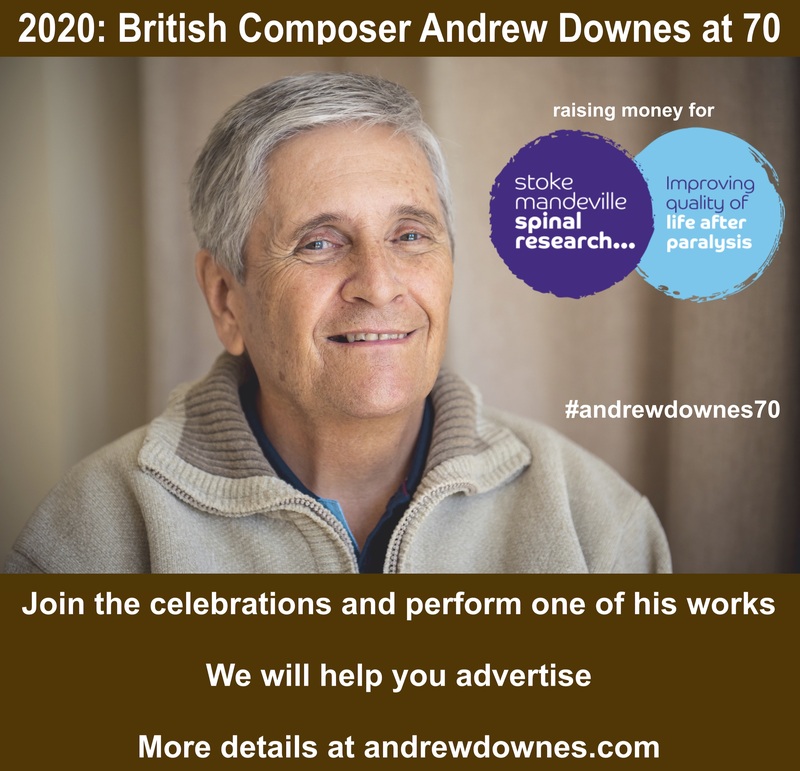 Andrew then composed the Mass during his time at the Royal College of Music, studying composition with Herbert Howells, who wrote of him: "In a quiet, but strong way, one of the most effective composers coming to me these days. I have very considerable hopes for him." At that time Andrew was also singing with the group Counterpoint (2 countertenors, 2 tenors and 2 basses: all ex choral scholars from St John's College, Cambridge). He wrote the Mass with them in mind: himself, high countertenor, with ATTBB. In 1975 Counterpoint, with a soprano singing Andrew's part, sang the Gloria from the Mass at our wedding. The world premiere of the Motet and Mass took place in Birmingham Cathedral, with Andrew conducting the Birmingham Conservatoire Chamber Choir, on February 19th 1977. Earlier that day our first child, Anna, was born. Andrew came back from work on the day before to find me in the early stages of labour. Anna was a week early and I was anxiously awaiting Andrew's reassuring presence. He drove me directly to Bromsgrove hospital, where I had a lot of help, because Anna's was a breech birth. She finally arrived at 20 minutes past midnight on 19th February 1977. Andrew was absolutely elated to be a first time father, but I insisted he went back to our home to get some sleep before his big performance that evening. My parents came to the hospital to see their first grandchild that same evening. They were very excited. My Dad had been all round town looking for a perfect gift for his little granddaughter and only had eyes for pink. Andrew's first performance went extremely well. He was able to record it for me. I was in hospital for 6 days following the birth (able to recover while the midwives looked after the baby and gradually taught me how to do it. What luxury that was then, leaving me with special memories of Anna's first days). Probably, Anna's first experience of her Dad's Music was O Magnum Mysterium. I typeset this work from the handwritten score many years later and also created, from the AATTBB original, a SSAATB version. This was around the time when our daughters' music teacher, Heather Fairs, retired. Paula, Katy Pickford and I sang the Motet at Heather's retirement dinner. 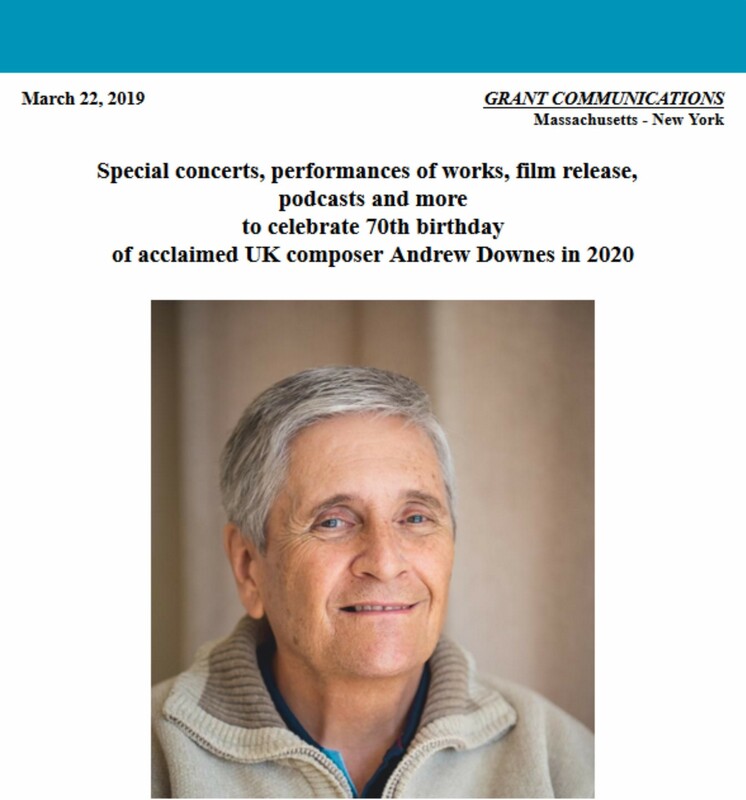 In 2006 Paula organised a concert of Andrew's choral music, including my higher voice version of the Mass and Motet, O Magnum Mysterium, in King's Chapel, Boston, USA. Andrew and I both sang in this concert, another highlight in my life. 1n 2017 Paula transcribed the Mass for high voices for her vocal group, the Cantabrigians. 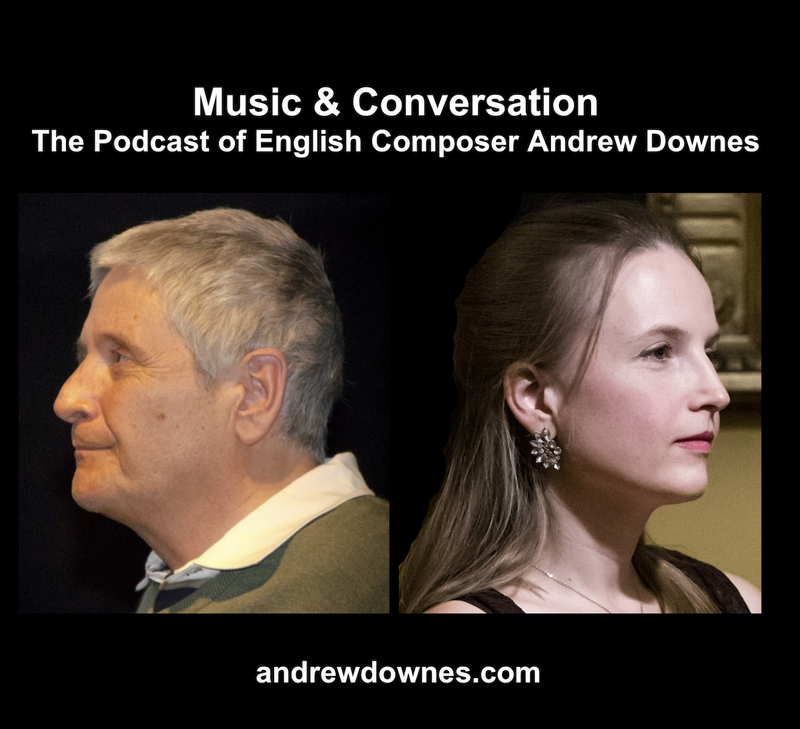 They have sung this and my high voice transcription of the Motet in concerts in Selwyn and Trinity Colleges, Cambridge, and for the Brandenburg Choral Festival of London. I feel so thrilled that this Motet and Mass, first performed on the birth day of our first daughter, Anna, is still being kept alive by Paula, our second daughter!